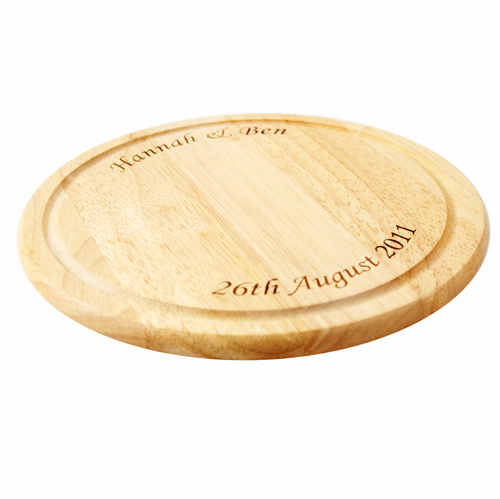 This fantastic round wooden chopping board makes a great and unique gift for the couple who have got it all! The chopping board can be personalised with 2 lines of text one on the top rim and one on the lower up to 20 characters on each line. Personalise with 2 lines of text one on the top rim and one on the lower up to 20 characters on each line.